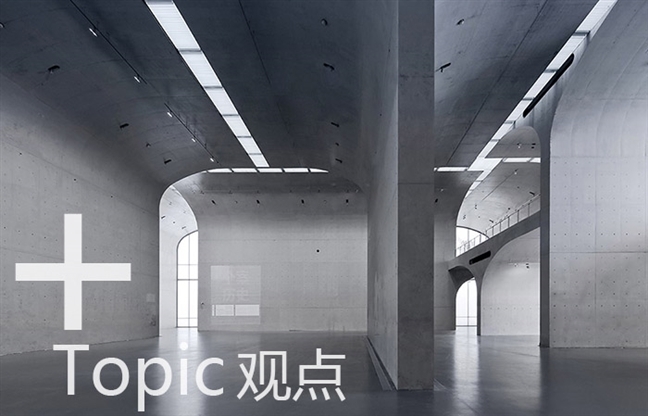 Long Museum West Bund is located at the bank of Huangpu River, Xuhui District, Shanghai Municipality, the site of which was used as the wharf for coal transportation. Before the commencement of the design, a Coal-Hopper-Unloading-Bridge of about 110m in length, 10m in width and 8m in height, which was constructed in the 1950s, is remained with a two-storey underground parking completed as early as two years ago. lightness because of large-scale overhanging style enables the overall building’s continuation of the industrial property of the original site, not only in time but in space. 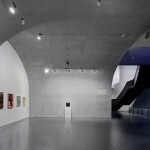 The flowing exhibition space under the overground as-cast-finish concrete “vault-umbrella” and the “white box” exhibition space on the first underground floor are connected with spiral ladders downward. 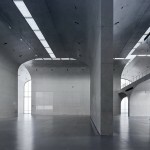 The parallel tensility highlighting the space, primordial but realistic, and the art exhibition from the ancient, modern and contemporary periods, has displayed an exhibition space featuring the temporality. 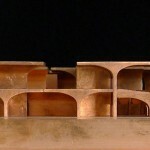 gooood: How to decide the structural form and materials? 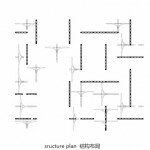 LIU Yichun: Architectural design is never an inevitable outcome of analysis. 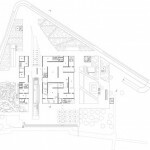 In most cases, the solution is born from an interweaving of the specific conditions of the project and a long-time consideration of the architects. When working on this project, I was at a period deeply obsessed with the relationship between the technical performance and spatial performance of the structure. 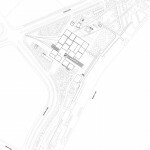 The architectural structure is inserted on site, integrating with the whole space and matching well with the characteristics of the existing industrial structures. Thus the structure and materials are quick to determine. Looking back, the whole design process seems very simple, where the key point lies in the transformation of thinking from the architecture to the structural system. During the design process, the analysis of the site and functions proceed synchronously. 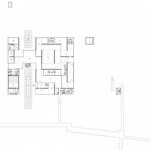 For example, the original site includes a basement parking, which is the frame structure. 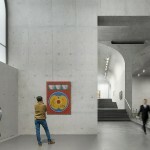 Now for the purpose of this project, a gallery shall be inserted for exhibition, and thus an exhibition wall is needed. 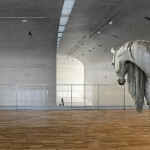 It’s naturally to think about constructing the exhibition wall with gypsum board as widely practiced by most galleries. But at that time, I considered that why not integrate the exhibition wall and structural wall as one? Maybe it’s a better solution. For me, this decision just came to my mind very directly and as I wished for. After decision made, the first step is to consider how to transfer the original frame structure to the exhibition wall, thus to realize the functional transformation from the garage to the gallery. Then, the following problem is the transformation between the new wall above and the old frame structure below. Moreover, how to form a large-scale space with the newly-added walls is another problem to be solved. In order to answer all these questions, we have to remove a row of column to separate the space into two spans. But how to cover the space between the two spans? Then the problem transfers from the structure to space-covering, i.e., a new spatial problem is added besides the original structural one. The final solution solves both problems in a perfect way, forming a cover for the space while creating a structure in the space. definite and clear when it comes to the end. Once the structural form is settled, it’s very natural to choose concrete which is of mechanical property and construction mode matching to the structure. gooood: What’s the biggest challenge of this project? LIU Yichun: I think it’s the layout of mechanical and electrical equipment. 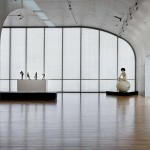 I want to create a clear and pure space. Though purity is not the norm judging the quality of a building, since I choose it, I will achieve it to the utmost. However, I’m not so sure that I can do it perfectly at the very beginning. gooood: What’s your regret in this project? And how to improve in the future? LIU Yichun: The lights are not well controlled. The management of architectural spaces, lights and other effects relies on the architects’ experience and the specialists in these fields. However, it’s not possible that a team has rich experience in all realms related, for example, we need samples and experiments to know more about the light transmission effect of the color glazed glass of new transparency. Owing to the strict time limit and the lack of experience in mobilizing social resources to do experiments, we lose some opportunities for better choices. But the same regret will know appear a second time. The new achievement is usually achieved based on the former failure. LIU Yichun: The integration of building, structure and mechanical and electrical equipment is highlighted through the whole design process. In China, we often hear architects’ complaints about the ineffective cooperation among these different fields. Referring to this problem, my experience is: generally, we will map out the wiring system first and then do some adjustment through discussion with the specialists, then ask them to finish the drawing one time to minimize further changes. Of course, the premise is that the architects have to figure out clearly the relation between the building itself and the other elements. This requires the architects have a good command of the key knowledges of the other fields, a good coordination capability, and most importantly, a sincere heart towards the architectural concept. I know this method is effective to the small-scale project. Whether it works on large-scale project? I have no idea either. gooood: You mentioned the reflection on structural system as well as intervening such “structure” into a space to form a unified whole. In this project, I can feel such reflection through your description of the space. Could you please share more similar examples from your structure research except for this “vault-umbrella” and how does the structure react with the space? LIU Yichun: Structural intervention does not fit for all the projects. However, as the “skeleton” upon which a building stands, structure has a very important function in space for all projects. It may be hidden from the definition of structural members, for example, people do not need to distinguish whether a wall is built for partition or load-bearing. As a final result, it shall be hidden from the space. 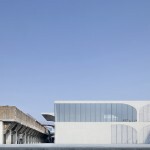 However, the design result will be greatly differentiated based on how the architect values the structure. In our recent footbridge project, we also considered the integration between the structure and the space. The elevations between the two sides of the river are different and complex. To solve this problem, we designed a three-line bridge to accommodate the three different elevations and took the three points as the supporting points of the bridge to balance the deflection and thrust through different fixed ends, slidable ends and the force balance among the structures. The positions of all the structural members are related to the spacial requirements, such as passage, flood prevention, barrier-free design, etc. The structure shall be a complete whole while adapting to the site. 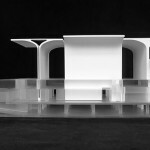 gooood: In this project, is “vault umbrella” the only structure that fits to the site? Have you considered other structures during design process? LIU Yichun: Definitely, the “umbrella” is not the only answer. We also considered the vault structure in the designing process, but the structural architect thought that “umbrella” was a more reasonable choice. The choice of this structure is very personalized since one thousand architects will present one thousand designs. In this project, “umbrella” is chosen to solve some problems and fulfill the architect’s expectation towards the space. Other structures can also fit to the space if we only consider the structure itself, but to form the current space organization and atmosphere, “umbrella” is the given answer. 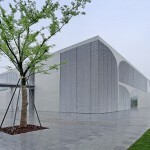 gooood: On dianping.com, people also comment on the museum building besides the items on display. Many people gave compliments like “the best museum in Shanghai”, “Wonderful!” Some mentioned that the most valuable collections in the museum (such as the works of Su Shi, ZhuZhishan, Wen Zhengming, Si Maguang, Zhang Daqian, Wu Guanzhong, Pu Ru, Xu Beihong, Lin Fengmian, Cixi, Qianlong Emperor, Qi Baishi, Fu Baoshi, Emperor Huizong of Song Dynasty, Wu Bin, etc.) are placed in the basement rather than the larger space on the ground, why? 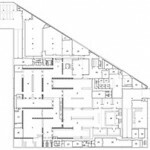 What kind of exhibits are more appropriate to be displayed in the upper space? What’s the reason for such arrangement? 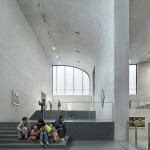 What’s the positioning of Long Museum? 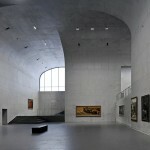 LIU Yichun: This museum was originally designed to display contemporary artworks. The ancient and modern parts were incorporated after the completion of the construction drawings. The ancient artworks, which are usually placed in the glass showcases, have high requirements on the display environment. The modern paintings are placed in the traditional “white box” and lightened by the artificial light sources. So, it’s very natural to display these two parts underground while leaving the upper space to the contemporary artworks. 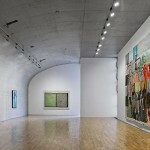 The contemporary artworks are various in forms, such as large-scale paintings, installations, etc. Moreover, the emerging new art forms and works bring more possibilities for the interaction between art and space. Many architects, after visiting the space, plan to create artworks for it. This is the result we anticipated in designing process. 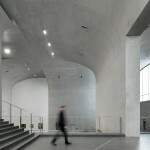 gooood: The main material used here is bare concrete. 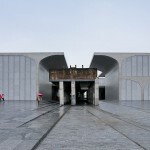 Lately, an on-site architect from another architecture firm told me that: “In China, the quality of bare concrete is not able to reach the foreign standards. The core reason lies in the processing time, which is irreconcilable.” His words made me feel that the bare concrete is not favored and commonly avoided in China. Even though his architecture firm is good at high-quality projects, he is also harassed by such problems on site. 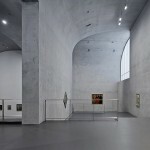 Bare concrete is applied in this project. Could you please share more experiences regarding to this material, e.g. how to achieve perfect construction effect, how to remedy the defects, how to choose the concrete protective agent, etc.? LIU Yichun: There are some influential factors during the concreting process. First, time. The time shall be controlled within one hour from the concrete mixed in the mixing plant to transported in the site. The concreting intermission time of different trucks shall not exceed three hours in case of the traffic jam which will lead to unfavorable results. Therefore, the site of the mixing plant, transportation time and routs shall all be considered. Second, color differentiation. To avoid this problem, the concrete used shall be the same batch. That is to say, you have to negotiate with the mixing plant to supply the same batch to this project. Besides, ingredient is another issue to be settled because different ingredients will result in different colors and textures. In this project, the construction company, based on their experiences, prepared about eight types of concretes of different colors and textures. I prefer the lighter and whiter one. I asked them about the reasons leading to such differences and was told that it was resulted by the different ratio of coal ash and mineral powder. Usually, they tend to add more coal ash to ensure a satisfactory slump, thus to effectively avoid emptiness, bloating and rotting at the concrete base. But more coal ash will darken the concrete, which is not what I want. More mineral powder brings lighter color, but they worried that it may lead to un-compactness and small air blisters. Well, on the contrary, I like the blisters. Through discussion, I found that they held different quality standards from the architects’. What they worry about may be exactly what the architects want. At this time, the architect’s judgment becomes very important. So in the end, I chose to use the formula only containing the mineral powder without a little bit of coal ash to gain the lightest color and most smooth texture which present a sense of transparency. Defects are hard to be avoided in the process of concreting. Actually, it is not necessary to over-worry. Nowadays, the protective agent and repairing technology are greatly advanced. We can remedy the defects easily. Sometimes, defects and color differentiation make the structure more real. Error shall be strictly controlled in the construction process of bare concrete, because the open structures such as the door and window will not be plastered to offset the error. It is a serious problem if the edges and openings are out of the vertical or level. The error is determined by the quality control and skills of the workers. The biggest error of Long Museum is 6cm. That caused great trouble for the installation of doors and windows. We have to adjust the error through other ways. 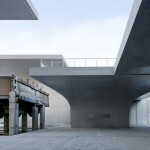 In Japan, the error of bare concrete shall be controlled within 5mm, or the concrete member shall be smashed and rebuilt. gooood: Unfortunately, 6cm is already considered to be a little error in China. The stringency of construction in Japan is far beyond our imagination, that they will smash and rebuilt the concrete if the error is over 5mm. Chinese construction teams seldom have such strict construction consciousness. 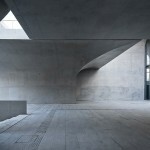 Additionally, there are many elements at the construction site which beyond the architects’ control. Apart form low construction accuracy, some constructors even replace building materials in construction. All these lead to a low construction completeness in China. Do you have any story or experience about how to improve the construction completeness to share with other architects? LIU Yichun: Well, in China, we can never rely on a construction team to achieve good construction quality by just giving them a construction drawing, especially projects with particular construction requirements. Thus, the architect should master good resources or information. We used to use corrugated perforated plate in construction. it’s cheap indeed, however, the general contractor may offer a higher price in construction which may cause the client to give up on it. But things may turn around if the architect knows a corrugated perforated plate of low price and good quality. In this project, we recommended bare concrete of China Construction Eighth Engineering Division Co ., Ltd . to the client and it turns out good. We wouldn’t achieve such a good result without these efforts. Otherwise, if the construction quality is low, the architect may feel great pressure and guilty. The hard working of the architect will also set up a good example to the workers at construction site. In this project, the workers were excited to see the first building template of the bare concrete to be moved away, and they work harder after that, because they believe they were not just work for money, they felt pride for been part of the construction. 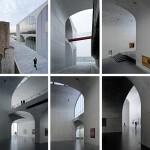 gooood: After the construction of the building, which aspects of architect aroused your interest? Why and what’s your reflection on these? 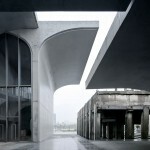 LIU Yichun: Well, though the construction I began to research the relationship between architecture and structure. It’s not merely about technique, it’s more about culture, thinking of the problem of quality, and how this thinking affects space construction. Then the role of light in construction, and I got deeper understanding of the meaning of light in construction. Lights are different through different mediums, and lights of different seasons, different weather and different directions will bring different atmosphere to the house, it’s quite delicate.